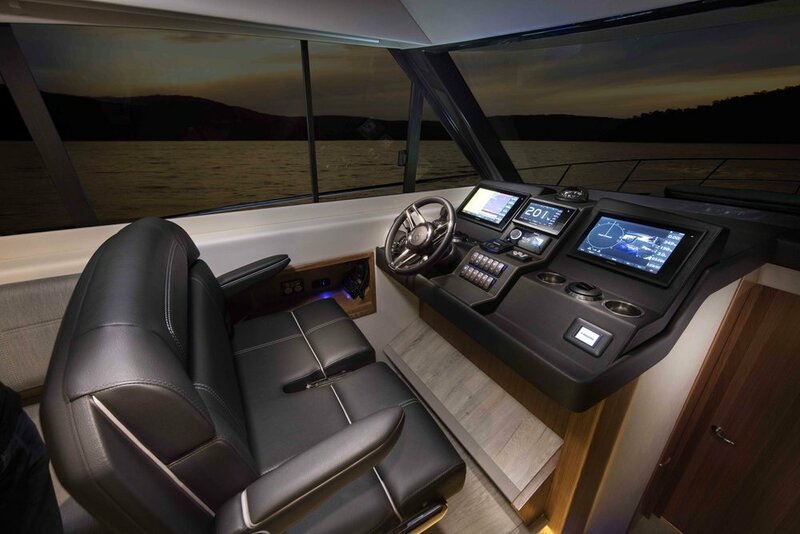 The Riviera 395 SUV is more than just a new model from the well-regarded Riviera design team, this vessel reinvents the whole SUV category and steers it into fresh, exciting waters. Combining Riviera's Flybridge performance, structural strength and cockpit space with the single-level entertaining style of Riviera sport yachts in a punchy sub 40-foot package. 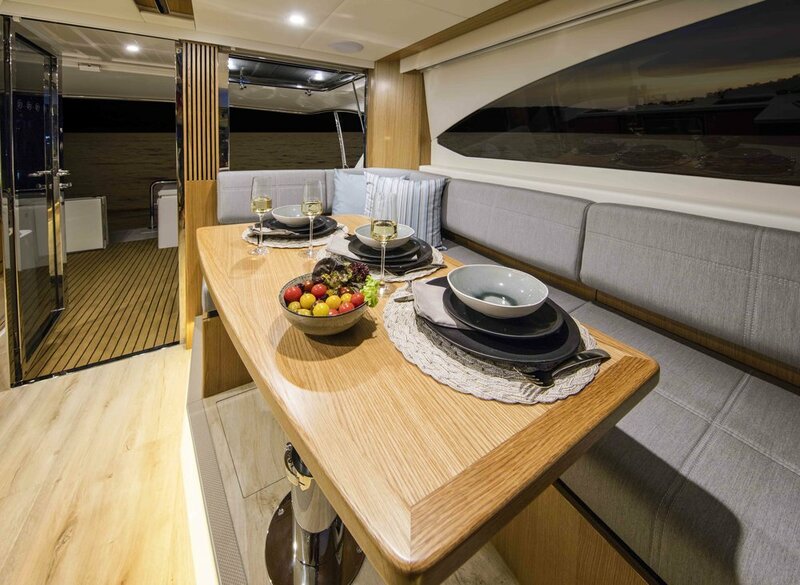 The Riviera 395 SUV has a revolutionary new broad beam hull and deck design that opens up the space like never before. You can look forward to enjoying two generous, superbly appointed staterooms and a large bathroom on the accommodation deck. 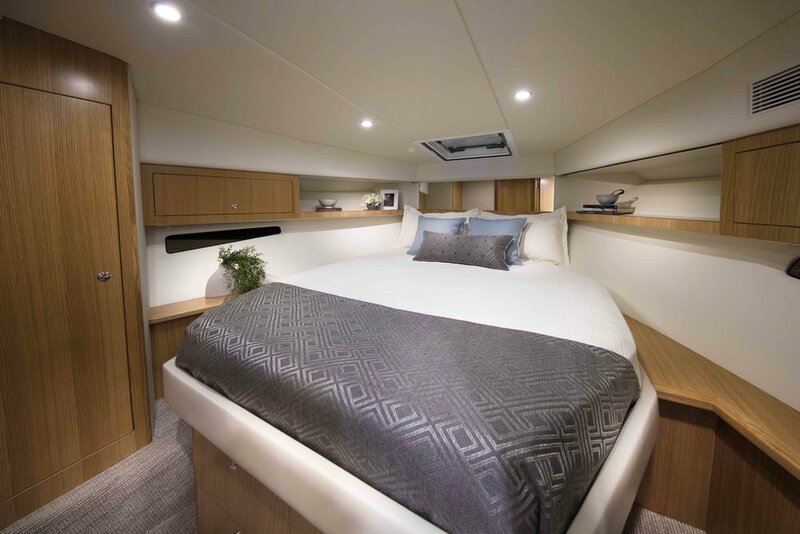 Life in the saloon takes on new levels of spaciousness and comfort with a similar design aesthetic applied to the cockpit where versatility blends seamlessly with style and function. With silky smooth power and efficiency from twin Volvo D6 IPS 500 turbo diesel engines at your command, the new Riviera 395 SUV is ready to launch you into a whole new class of cruising. This syndicate is based in Auckland Harbour, near the northern end of New Zealand's north island and just a short 60 minute flight from Wellington or 90 minute flight from Christchurch. Shared between six owners, each partner has a real sense of ownership and can enjoy the flexibility of making shorter notice reservations, simpler swaps with co owners and better use of the standby function. With the Hauraki Gulf just a short boat ride away from Auckland Harbour, this syndicate is ideal for those who might enjoy day or weekend trips to Rangitoto Island, Waiheke Island, Great Barrier Island and more. With transparent running costs, the partnership term for this vessel is for three years with each owner receiving 56 days usage per year or 14 days per quarter plus standby days. Images depicted in this material are representative of potential options available and may not be available on all syndications. Please check all details upon enquiry. Boating Partnerships is the only syndication company with the official endorsement and support of Australia’s most awarded luxury motor yacht builder, Riviera. Enjoy the full walk-on walk-off experience when owning your new Riviera and share it with up to six like minded individuals. Boating Partnerships offers exclusive concierge services including catering, cleaning, laundry and refuelling. Easily book your usage online and track your maintenance.